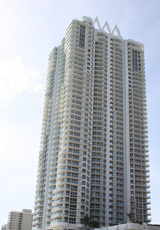 Akoya Miami Beach Condos for Sale in Miami Beach on the Ocean. Miami Beach Oceanfront Condos presented by Miami Condo Realty. Unit Sizes: 683 to 3377 sq. ft.